I was out late last night driving the backroads of Southern Indiana in my 1955 Willys M38A1 (Military Jeep) -- top down. I often take the backroads because the beast's top speed is around the 45 mph mark. On this night drove under of curtain of bright stars (one shooting star made me say "WOW" out loud) and shoulder to shoulder with a lot of farmers working late night in their fields doing whatever it is farmers do late night June with heavy equipment (Yes, I'm a city boy). 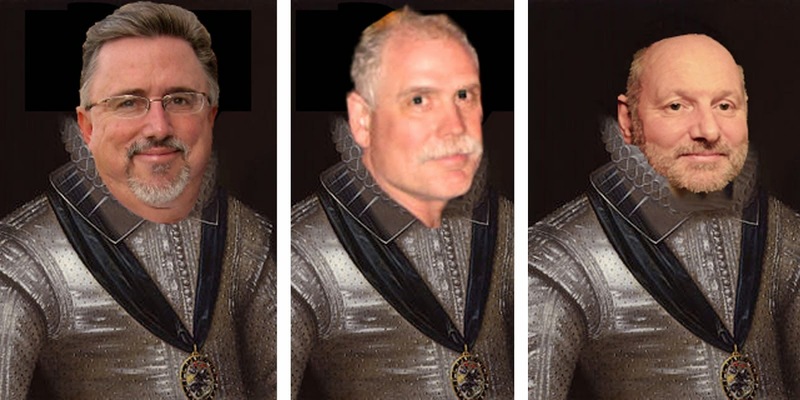 I opened my email when I got home to find one of those "forward to everyone in my email address book" emails from Sir Norman of William Nottingham Court. 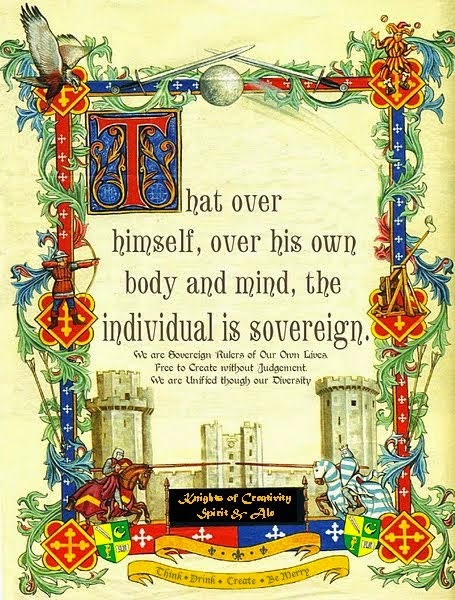 Coincidentally, it was some Old Farmer's Advice that seems like good nuggets of truth for all good Knights (country to city Knights). With the memory of the shooting star still burned on my retinas and the smell of farm dust in my nostrils, I present Norm's "An Old Farmer's Advice": * Your fences need to be horse-high, pig-tight and bull-strong. * When you wallow with pigs, expect to get dirty..
* Live a good, life. Then when you get Older and think back, you'll enjoy it a second time. * Lettin' the cat outta the bag is a whole lot easier than puttin' it back in..
Sir Bowie "trying to remember to Always drink upstream from the herd"
Good wisdom! My grandfather Wells was a farmer. 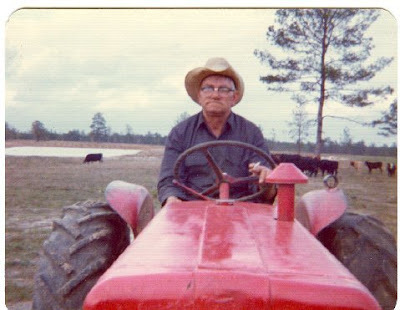 I remember riding on his tractor and smelling the dirt and feeling the connection to earth and all its wonders. There's a simple wisdom to this lifestyle that we all too often complicate with meaningless chatter! As for what the farmer was doing last night...it has changed since my grandfather's day...now they're either listening to an iPod or watching satellite TV in their air conditioned cab while enjoying their beer of choice in a mini fridge under the seat! I did that job in the summers between college. Still, you can remove the dirt off a farmer, but you can't remove the farmer from the dirt! complete with handing out drinks and taking us back to the cabin for the indoor plumbing - what a guy!! I'm going to re-read the farmer's wisdom - I too come from a long line of farming families! yeah love these.. I can imagine them said in that Old timer mid west accent. ..and the interesting thing i bet is....that if you got all the parochial sayings from indigineous communities from all over the world.. communites that probably wouldnt have acess to other sayings from around the world, you'd see that the sum of human experience would have them saying exactly the same thing, but in their own colloquial way..